To go on safari is one of life’s greatest experiences. Those fortunate enough to enjoy the pleasure of spending time in the bush are enchanted by nature’s greatest wildlife spectacle. It is here the circle of life is on full view. Life in Africa is a constant struggle. It is raw and wild. Anyone involved with the national parks of Africa fight to protect what wildlife and the land remains. Each park has it’s own merits and drawbacks. While we would never speak despairingly of anyone working to conserve wildlife there are clear highlights. What are the highlights and our favorite parks? Choosing between the fantastic parks of Tanzania, Kenya, Zambia, Botswana, and many other African countries is a difficult task. After visiting nearly every major national park in Africa these are our favorites. When you plan your next safari here are five African parks you should visit before you die. The Masai Mara is one of the most popular places to go on safari. 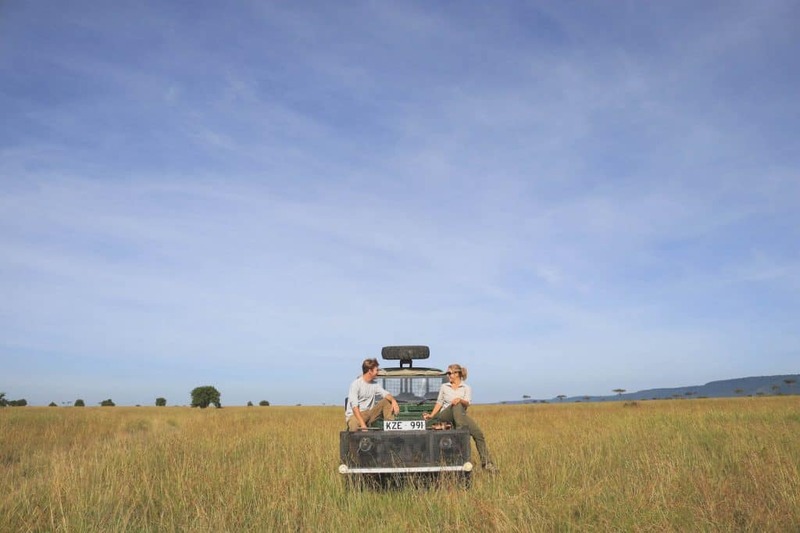 The wide-open grasslands that make up the Mara ecosystem are pretty synonymous with Africa. At one point in time, the famous park was more popular than the Serengeti. However, with more travelers concerned about their safety in Kenya, the Kenyan National Parks have seen a decline in tourism. All the more reason to get there now while crowds are low! It is about a five-hour drive away from Nairobi in the southwestern part of the country and has a border with the Serengeti in Tanzania. The two famous parks share the same ecosystem with little dividing the two parks asides from a stone plaque. Just like in the Serengeti the Masai Mara National Reserve is where you can find the great migration. Every June one million wildebeest come to the Mara to graze and mate. The massive herds are well known for their river crossings when prehistoric crocodiles lurk waiting for their once a year meal. This was the only park in which we saw all of the big five in just one game drive, plus a cheetah and serval! If you’re looking for an extraordinary experience we suggest you check out what a balloon safari. The Lower Zambezi National Park is considered one of the last “true wildernesses” in Southern Africa. The park is directly opposite Zimbabwe and the Zambezi River is the dividing line between the two countries. The mighty river is the focal point of the park as a dizzying number of animals come for a fresh drink of water in the dry season. It makes sitting on the river dry season one of the best places in the whole world to be! We loved our time in the Lower Zambezi not because of our amazing wild dog sighting, but because of the wide range of activities. 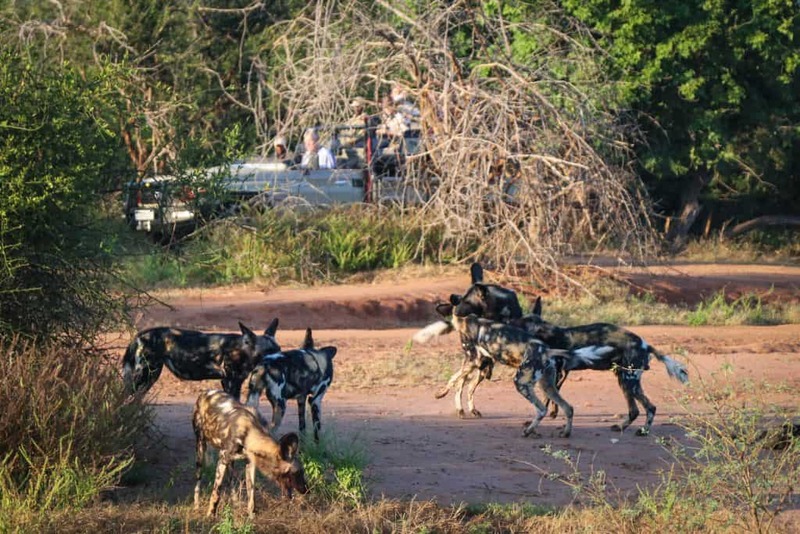 Instead of just game drives, visitors can join in on canoe safaris, river cruise, night game drives, bird watching, and even walking safaris. There is enough in this Zambian National Park to stay occupied for at least a whole week (or two!). 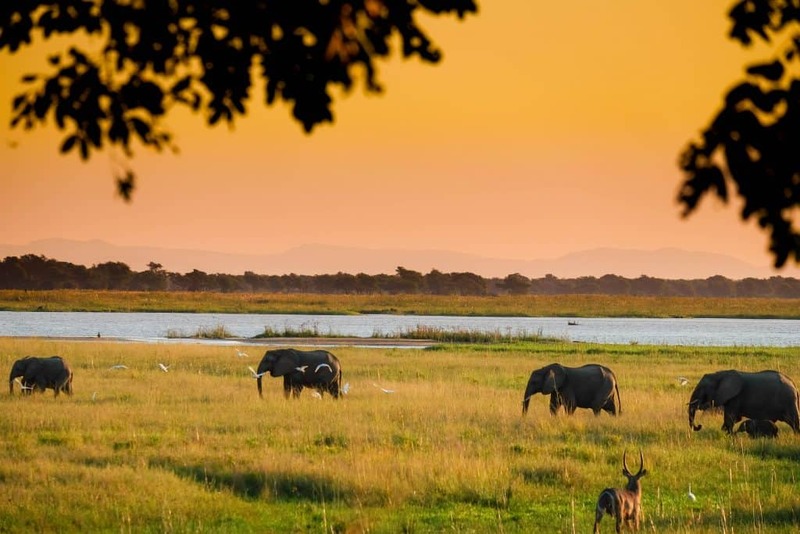 Speaking of Zimbabwe have you heard of Mana Pools National Park? 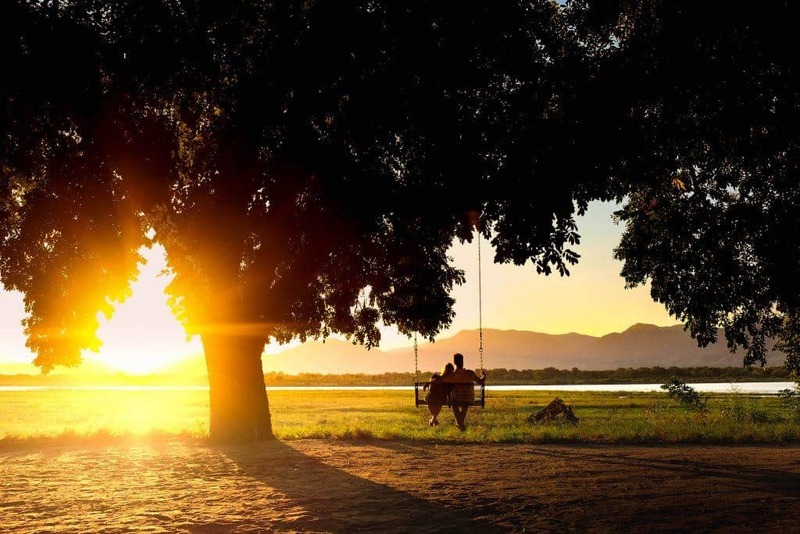 Mana Pools is a UNESCO World Heritage Site directly opposite the Lower Zambezi National Park and is one of the lesser known (but amazing) national parks in Africa. The park is all about the BIG GAME. Here you can lay eyes on many of the large bull elephants that enjoy the Zambezi River year round. 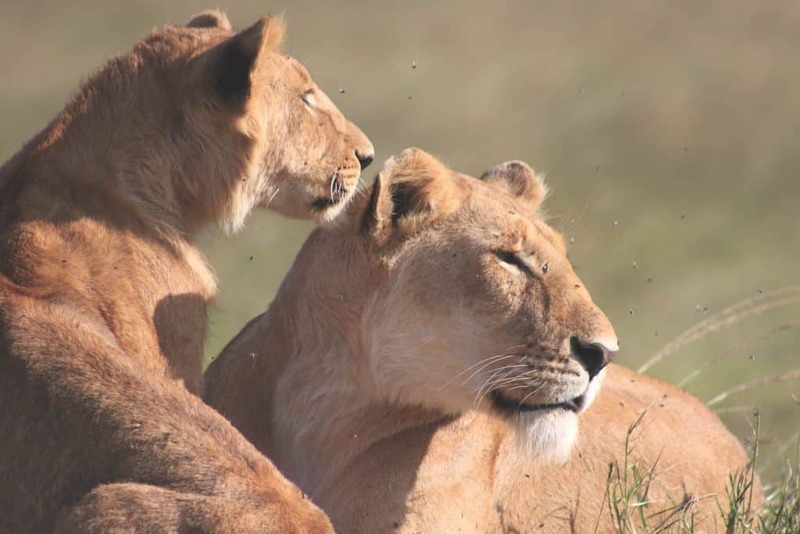 Or spend time with some of Africa’s most famed predators. The name “Mana” means “four” in Shona and that’s what the park is named after. The four pools found throughout the park that help feed all the wildlife that call the park home. We had a wonderful time in Mana Pools because of its tranquility and remoteness. There were few other tourists and it gave the true sense of wilderness, as if we had the whole park to ourselves! 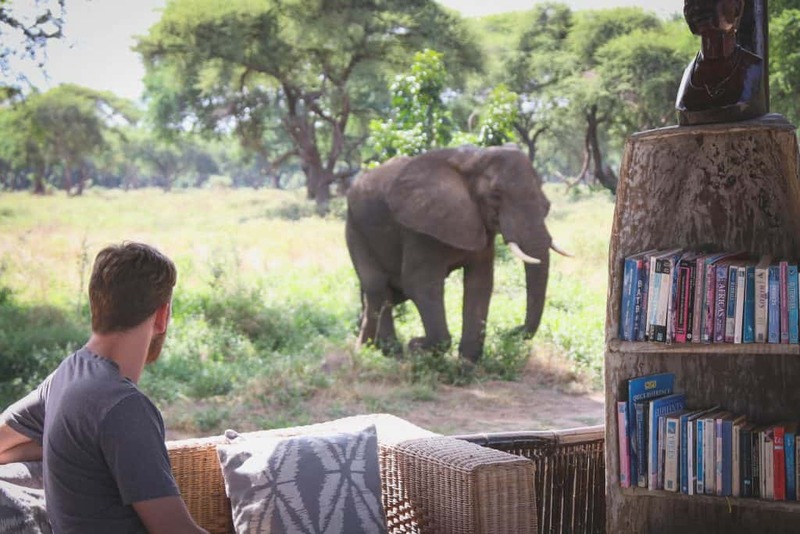 Furthermore, if you’re truly crazy lace up your safari boots because Mana Pools is the only park in Africa that allow visitors to walk on their own. I have to admit the mass crowds that plague the Serengeti turns us away. However, this turned out to be a good thing since it brought us to some of Tanzania’s lesser-known parks. When we planned our second trip to Tanzania we specifically sought to travel to Southern and Western Tanzania, far from the madding crowd of the Northern Circuit. That’s where the largest national park in the country comes in – Ruaha National Park! The park is 20,226 square kilometers (7,809 sq mi) and is all about the big numbers. It contains a massive population of elephants and the park’s landscape is littered with baobab trees. However, the most famous population in Ruaha is its lion population. By some estimates, 10% of the world’s wild lion population lives here and visitors are almost guaranteed to spot a few prides of lions. The game density here is great, and lack the crowds make this one of the best parks in Africa. If you want value in Africa then Namibia is where you should head. Park fees are 80 Namibian Dollars ($5) for a day pass into one of the best African National Parks. For those not familiar with the pricing in Africa, this is an absolute steal. Especially when you consider all the game that can be seen in Etosha National Park. Etosha National Park is home to four of the big five and on our first day in the park we were able to see white rhino! Game density is amazing around the natural and man-made watering holes, the only source of water for miles. 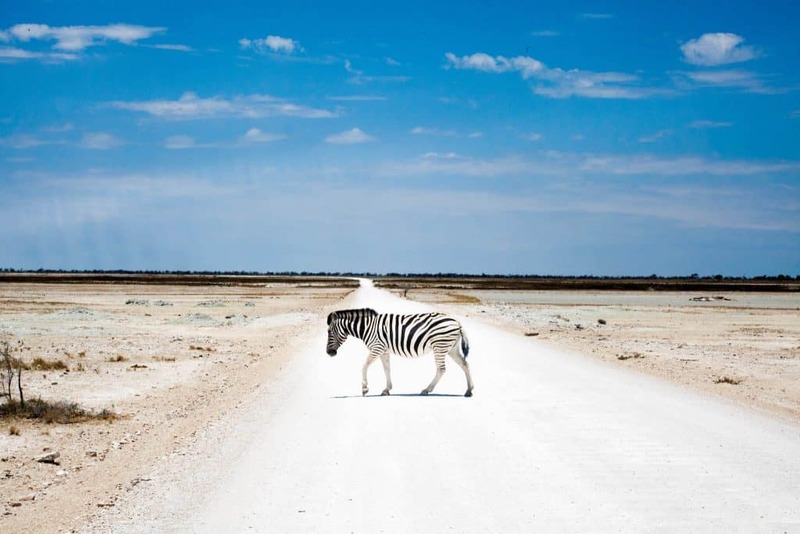 The Etosha pan is a vast expanse of dry land that covers just about 25% of the whole park. It can even be seen from space! This arid landscape makes game viewing easy as visitors do not have thick bush obstructing views of the wildlife. 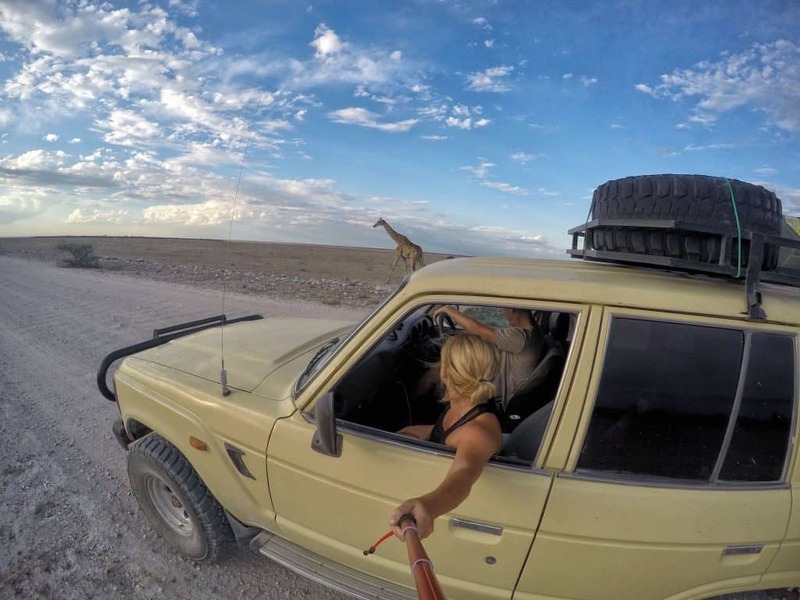 Etosha National Park is a great park to self-drive as the roads are well maintained, the park facilities are decent, and crowds are less than some of the more well-known parks in Southern Africa. 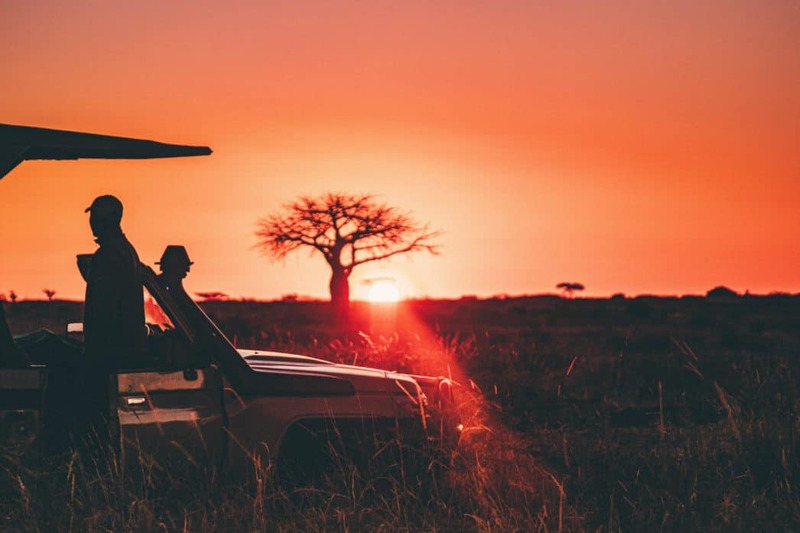 Tours around Africa: If you’re not much of a driver check out some of these African tours.